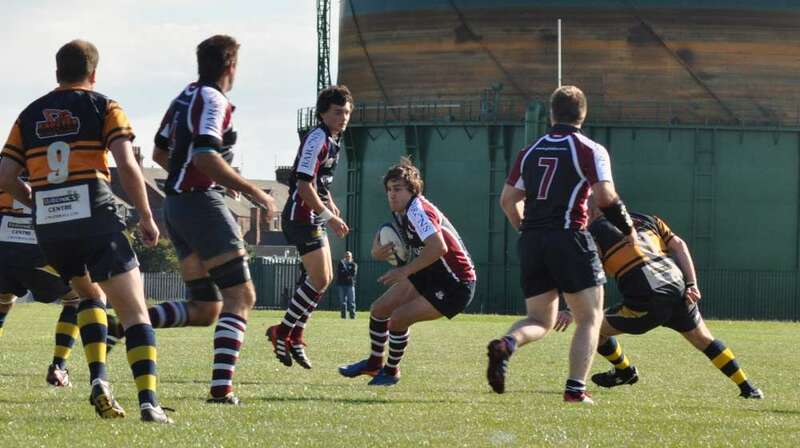 Scarborough extended their unbeaten start to the season beating West Park Leeds 31-23 at Silver Royd although they needed a late penalty to clinch the points following a disappointing performance. Kiwi fullback Ant Coffey sustained a calf injury in the pre-match warm-up which added to the Seasiders’ walking wounded which included centre Tomasz Chadwick, wing Graeme Jeffrey, tight-head prop Paul Taylor and back row Eamon Chapman who started on the bench. Craig Farrell played in the centre, Harry Domett moved to fullback to be replaced by Matty Young on the wing and Wesley Langkilde replaced Taylor in the front row. Scrum-half Jordan Wakeham played out of position for Jeffrey on the wing. Although he doesn’t like playing at fullback, Harry Domett thrilled the Scarborough faithful with some searing breaks from deep but it was fly-half Tom Harrison’s boot that got the scoreboard moving with a long-distance penalty in the 7th minute for a 3-0 Scarborough lead. However it was that man Domett who instigated Scarborough’s opening try when a lovely half-break was moved via Farrell to Harrison who sprinted away at a blistering pace to touch down and convert himself for a 10-0 lead in the 12th minute. Star man for the visitors was outside centre Andy Cromack who made several penetrating runs but the Scarborough defence held firm. And coach Lee Douglas’ men stretched their lead in the 27th minute following an attacking lineout in the Leeds 22 when good work by Farrell and Ratcliffe sent wing Matty Young over in the corner for 15-0. Scarborough appeared to take their foot off the gas in the closing ten minutes of the half when West Park winger Smith powered over near the corner flag in the 32nd minute. Cromack added the touchline conversion and the Seasiders’ lead was reduced to 15-13 with half-time approaching. However when Drew Govier secured a loose ball following a ruck just outside the Leeds 22, the young back row nipped round on the open side and sprinted away for an enterprising individual try. Having added the extras for a 22-13 Scarborough interval lead the mercurial Harrison fluffed a clearance/kick-ahead just inside his own half in the 41st minute and Cromack raced away to score a try he converted himself to reduce the arrears to 2 points at 22-20. An enterprising first forty minutes was followed by a pretty disjointed second half caused by injury and lack of discipline with two Scarborough players sin-binned. And as the game progressed many of the Seasiders looked to be leaden-footed and blowing. Tom Harrison kept focused and put his earlier glitch behind him kicking well-struck penalties in the 51st and 54th minutes. 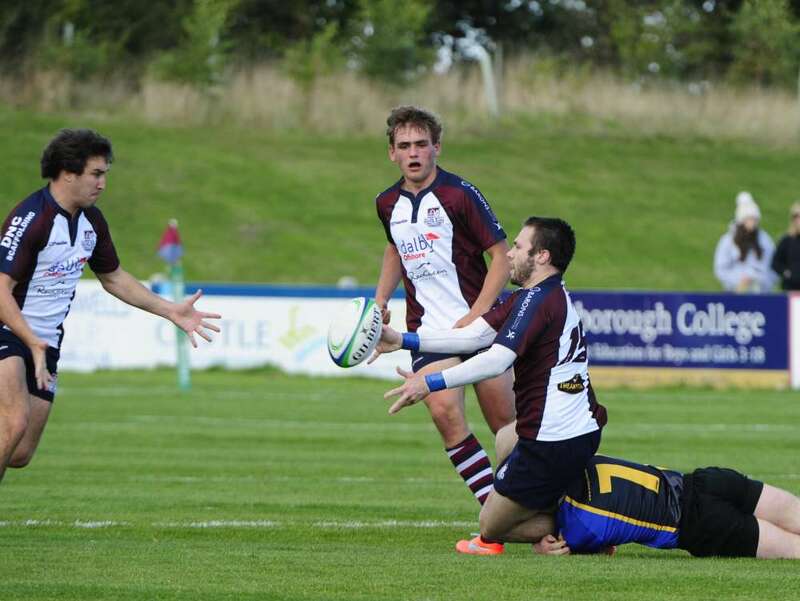 However I was surprised that Scarborough didn’t go for a fourth try which would have earned them a winning bonus point. The closing stages were tense for the home supporters as a converted try would have snatched victory for the visitors. However Harrison kept his composure when he calmly slotted a penalty with two minutes remaining to clinch the victory at 31-23. To be fair to the players and coach, the complete back division and to a lesser extent the pack were seriously disrupted by injury. But their lack of control and fitness after the break was alarming. The tight five lacked cohesion and they sorely missed the services of Paul Taylor. They also need someone to organize and do the talking on the paddock. Tom will want to forget a howler just after the break but he kept his composure to amass 21 points including a memorable first half try.